How to plant a Plant. 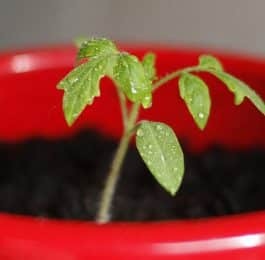 What is a good Planting? The key to lasting landscape beauty lies in choosing the right plant& We’ve told you how to place plants to get a pleasant home grounds. Now your, final step is to decide on the plant varieties to use. Just any old plant won’t do: Each one must be suitable to your climate and to` the amount of :sun and ‘shade it will get. It should harmonize with the other plants you use and with the architecture of your house. And, of course, it should be easy to main­tain, so you won’t be spending all your time taking care of plants. 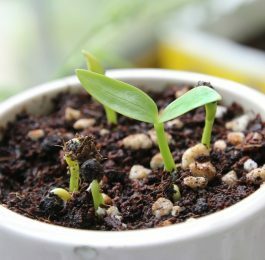 Will it grow in your soil? Does it need full sun, partial shade, or full shade? Can it stand the highest and lowest temperatures in your area? Will it suffer from strong winds? Can it get along with the moisture con­ditions where you want to plant it? Is the foliage attractive all season? Will foliage and flower colors harmonize ” with surrounding, plants and buildings? Does the plant’s form fit the location? Is it suscepcible to insects and disease? 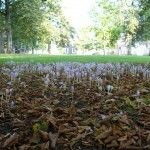 Does it produce an undue litter each season? Soil conditions come first. No plant will grow in pure clay or pure sand. 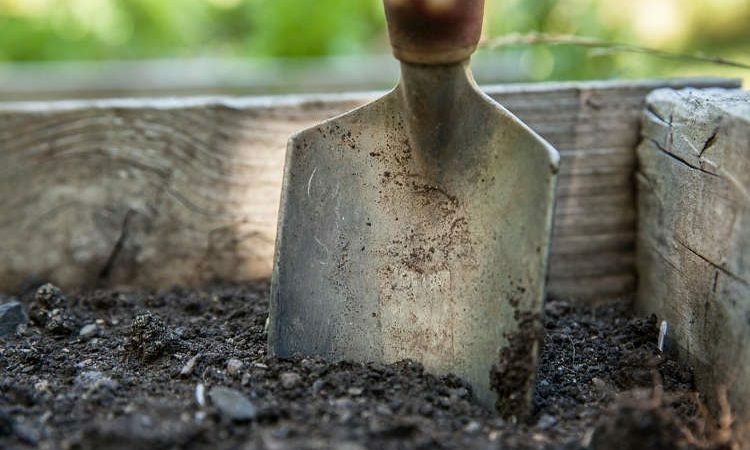 You can im­prove any soil by mixing in peatmoss, com­post, or other organic matter which will loosen heavy clay soils and make light, sandy ones better able to retain moisture. You can find plants which have a definite liking for any given kind of soil, but most plants are fairly adaptable. Acidity or alkalinity of soil is a problem in many areas. Some plants, like rhododendrons and azaleas, definitely demand acid soil. Others like it on the alkaline side. Fortunately, most plants don’t care whether soil is mildly acid or alkaline. Even so, a soil test is a good idea. Light and shade are deciding factors in placing most plants. Plants will often grow .where light conditions aren’t ideal, but they won’t do their best. Many nursery catalogs are very helpful by stating which plants like shade, which need lots of sun. Temperatures are the most important climate condition. Some plants are killed by a frost; others will live through winters when readings get down to 30 degrees or more below zero. Buy plants that you know grow in your area. Moisture, both in the soil and air, has a profound effect on plant growth. Some plants need lots of moisture; others thrive even dur­ing drought. Even on the same lot you may find big differences in amounts of moisture. Slopes dry out fast; low spots may be wet. Moisture in the air can cause mildew and another fungus diseases in plants; Avoid plants susceptible to mildew if your area is humid. Wind can be a serious problem, especially in areas plagued by constant winds. They not only buffet the plant, but dry winds also take moisture from leaf and stem. Many plants are killed in winter by drying winds, although cold temperatures usually get the blame. Foliage color is the first thing to look for. Avoid brown greens which tend to look dingy and dirty, and yellow-greens which give the plant a sickly appearance. Don’t rush to buy plants with purple, red, or other unusual-colored foliage. Such plants can be used occasionally for accent, but it takes skill to use them right. Plant texture refers to its over-all appearance, whether it is light and airy in appear­ance or heavy looking. Hydrangeas are excellent examples of coarse plants. The lacy, delicate tamarix is a fine plant. Where you use both fine and coarse plants in the same, planting, make a gradual transition from one to the other by planting medium-tex­tured plants between. Mental associations with, some plants should be’ taken into consideration. For instance, tropical plants look good with cer­tain Modern buildings, but seern misplaced about Colonial-type homes. Likewise, birch trees, being children of the North, never look at home in the South. Other points to keep in mind Unless you like to work around the yard just for the sake of working, you should select plants that need little care. Of course, all shrubs require some feeding and pruning, but others demand attention all the time. Avoid those known to be subject to plant disease and insects. Stay away from plants of rampant growth, and those which need heavy y feeding. And don’t plant those that drop a litter, of seeds, fruit, or ouf-of-season dead leaves. Don’t let your enthusiasm run away, from you and make you try to plant one of everything., Repetition is important in any kind of design work, and repeating certain key plants and masses of plants’ will help im­mensely in giving you a unified whole. Your tools in selecting plant materials are few. Nursery catalogs will supply much of the information you need about any plant. Your local nurseryman can be very helpful, because the plants he sells are types that grow in your area. 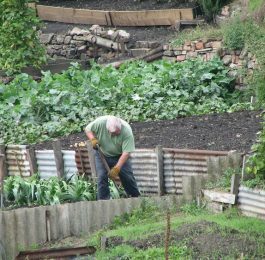 You should also look at other yards in your neighborhood to find those that look good, grow well, and fit into the kind of spot you have. Choosing the right plants isn’t as difficult as it sounds. Even so, take time to do a careful job. After all, a good planting will give you satisfaction for. years; a poor one will be a disappointment from the first. Broad-leaved evergreens, of questionable hardiness in many parts of the country, pose a real challenge. 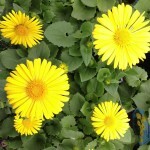 A single plant can inject more cheer into a landscape than dozens of easier-to-grow plants. Try, at least, bigleaf wintercreeper, equally good as groundcover, wall climber, or scrambling dwarf shrub. The glossy ever­green leaves, like those of rhododendrons, serve as thermometers, expanding in hot weather, curling tightly to cigar shape in cold. Christmas-roses (Helleborus), rescmbling giant white buttercups, frequently’ do well, as do myrtle, pachysandra, and Baltic ivy. Semi-evergreens do much to ease the transi­tion from autumn to winter. Leaves of Men­for barberry, Burkwood viburnum, carpet bugle, and winter honeysuckle remain presentable long after cold weather arrives. Persistent brown foliage is surprisingly interesting. Hornbeams, beeches, and many oaks provide a satisfying warmth in tans; browns, and russets, blending well with the winter tones of evergreens and the- bright twig and fruit colors of many deciduous shrubs. Berried plants add the finishing touches to winter combinations, enhancing the beauty of evergreens and benefiting from the rich background they provide. For red fruits, grow the showy Scarlet Winterberry, Washington or Cockspur thorn; for frosty wine­red, Sargent and the lustrous dark Zumi ‘crabapples. Also try Oriental photinia, smooth sumac, the brilliant, Chinese-red hips of Japanese roses, and the huge, trans­lucent scarlet berries of the cranberry bush. Selection among other fruit colors is lim­ited For pink, try green-stemmed Winter­berry euonymus. For orange, Oriental bit­tersweet, a sprawling vine, and Sea buckthorn, tall and shrubby, are best. Garden snowberries, nearest approach to long-lasting white fruits, remain decorative until softened and browned by hard freezes. More permanent are the gray bayberries. Bright winter twig color provides winter’s most cheerful effect – lemon-yellow dogwood, golden weeping willow, dark red Bailey dogwood, and green-stemmed kerria. Equally pretty are the twigs of silvery gray beech and Chinese elms, polished brown cotoneasters, and frosty reddish blackcap raspberries. Trees lack a cow’s ability to move to greener pastures down the street when hun­gry. The mineral requirements of trees are few, but trees must have these minerals for normal health. First choice of is a 10-8-6 plant food, that is, one which contains 10 percent nitrogen, 8 percent phosphorus, and 6 per­cent potash. If the 10-8-6 grade is not avail­able in your town, get the grade nearest like it. Trees are normally fed before June 10 because practically all of the growth for the year is made within six weeks after the leaves start to appear. But if you forgot to feed your trees in the spring, you can do it profitably in Septem­ber or October. Tree roots below the frost line in the soil remain active all winter. Years of research have led created a special formula for deciding how much plant food a tree needs each year: Add height and width of tree (in feet) to the circumference of the trunk (in inches). Example: A tree 60 feet high, 40 feet wide, 100-inch trunk circumference, should receive 60 plus 40 plus 100, or 200 pounds of 10-8-6 plant food. When pin oaks suffer from any upset in their diet, they produce yellowish-white leaves instead of the usual deep green. In sufficient soluble iron in the soil is the usual trouble. If the soil is alkaline, apply 3 pounds of a mixture of equal parts of ferrous sulfate, aluminum sulfate, ammonium sulfate, and a finely ground sulfur for each inch of tree diameter. This treatment will make the soil acid and the iron soluble. Lawn trees often are deep-rooted enough to get water long after shallow-rooted crops die of thirst, but street trees need extra water. Mechanical injury. Cuts made in pruning provide easy avenues of entrance for disease spores to start their deadly work. But in the past, too much faith has been put in slapping on a coat of ordinary paint, shellac, or tar paint. Shellac is no better than leaving the cut exposed, and most paints and roofing tars injure the living tissue at the: edge of cut. Repairing old cavities needs the expert. Elastic cement, often called composition filler, is sold under a variety of names and is one type of filling material. For large cavi­ties, especially near tree bases; concrete is better. Because it doesn’t expand at the same rate as the tree would, it’s more difficult to make a perfect seal.